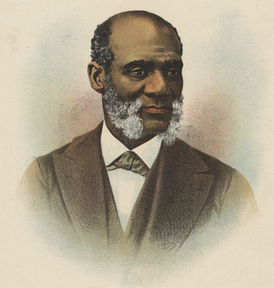 The Shiloh Presbyterian Church was part of the Underground Railroad and led by three great abolitionists: Samuel Cornish, Theodore Wright, and the fiery Henry Highland Garnet (pictured). 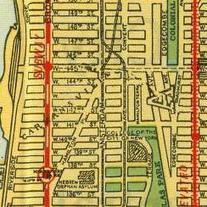 Over time the Shiloh Church moved north to Five Points, and then to Midtown. 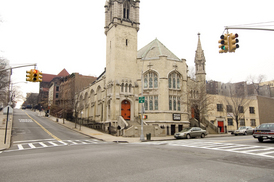 In 1895, members of the church founded St. James Presbyterian Church, now located at 409 W. 141st St. The Shiloh Presbyterian Church boasts a long tradition of radical black leadership. It was founded as the First Colored Presbyterian Church by Samuel Cornish in 1822. Cornish helped found Freedom’s Journal, the nation’s first black newspaper. Its second pastor, Theodore Wright, was a founding member of the American Anti-Slavery Society, and its third pastor was the fiery Henry Highland Garnet. All three were great thinkers, speakers, and leading abolitionists. From its founding, the Shiloh Church was part of the Underground Railroad. Under Garnet, the Shiloh congregation found new ways to fight slavery. He called for boycotts of sugar, cotton and rice because they were products of slave labor. Garnet was passionate in his hatred for slavery. He was raised in slavery until he escaped with his family at the age of 9. Years later slave-catchers kidnapped his sister. Even though she was rescued, Garnet remained enraged. Convinced that talking would never change the minds of slave owners, he was among the first to call for an uprising. “Brethren, arise, arise! Strike for your lives and liberties” he said. “Now is the day and the hour…Rather die freemen than live to be slaves.” Years later, when John Brown was hung for leading an armed slave uprising in Virginia, Garnet held a large memorial for him at the Shiloh Church. As blacks in New York moved north, so did the Shiloh Church until members of the congregation founded St. James Presbyterian Church located in Harlem today.